When tinkering with a new graphics API or raytracing kernel, I often want to use procedurally-generated shapes to avoid worrying about loading art assets. The library provides a set of functions that populate fields of the following structure. The two optional fields might be null, but every other field is guaranteed to have valid values. The PAR_SHAPES_T macro defaults to uint16_t, which can be overridden if desired. Upon creation, platonic solids are welded and do not have normals or texture coordinates. Note that unwelding a mesh creates a rather silly index buffer: 0, 1, 2, etc. You can leave the index buffer untouched by passing false to the unweld function, although that makes the mesh invalid. 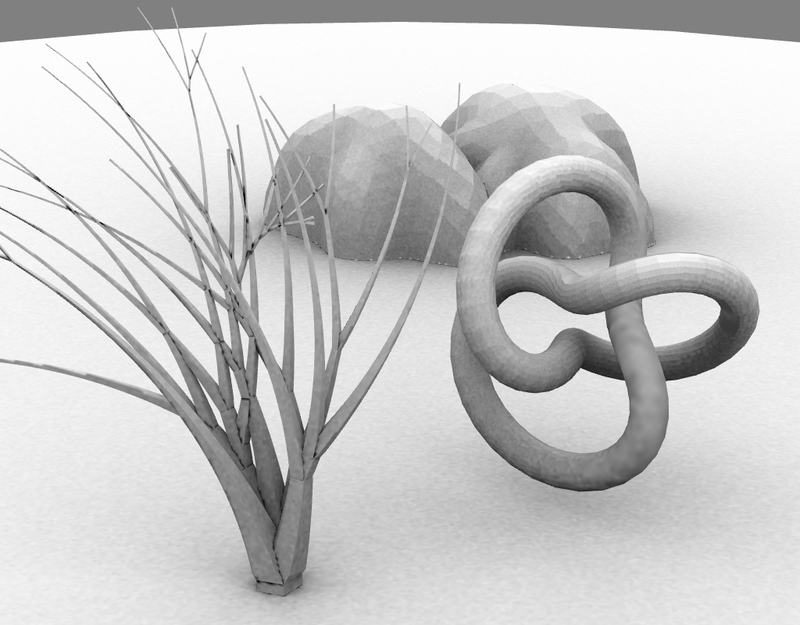 The shapes library can also generate various parametric surfaces. 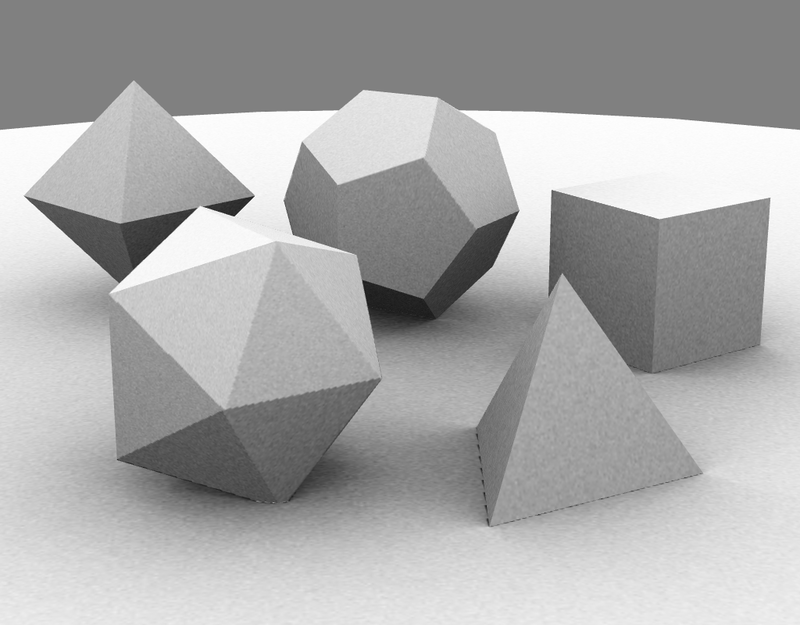 Unlike the platonic solids, these shapes are populated with smooth normals and texture coordinates, right out of the box. // Tessellate an open-ended cylinder with 30 slices and 3 stacks. // Create a disk-shaped cylinder cap with 30 slices. // Instantiate a dome shape. // Create a rectangular backdrop. // Place a submerged donut into the scene. All parametric generators take two tessellation levels: slices and stacks, which control the number of divisions across the UV domain. // point in [0,1] and produces a 3D point. 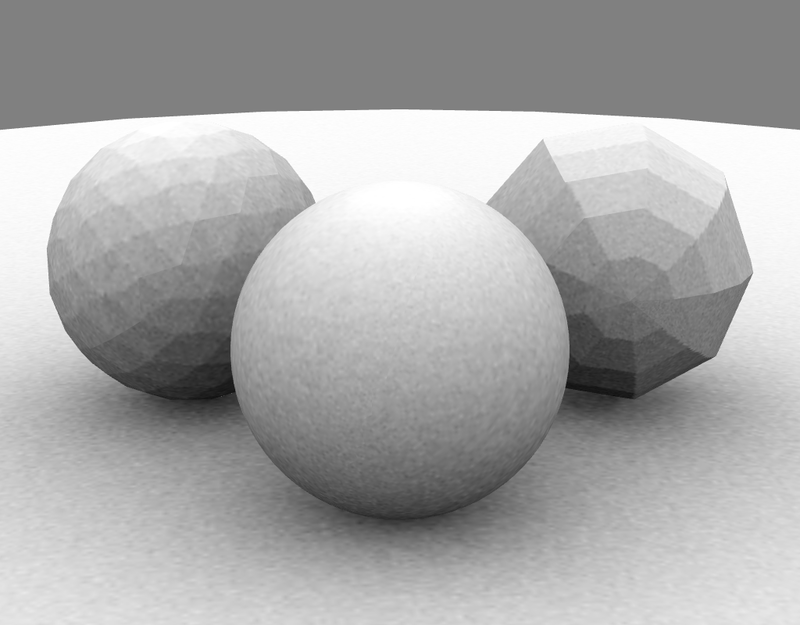 The shapes library provides two ways of generating spheres, and both have a fixed size and position: radius=1 and center=(0,0,0). Clients can easily scale / translate the result as needed. 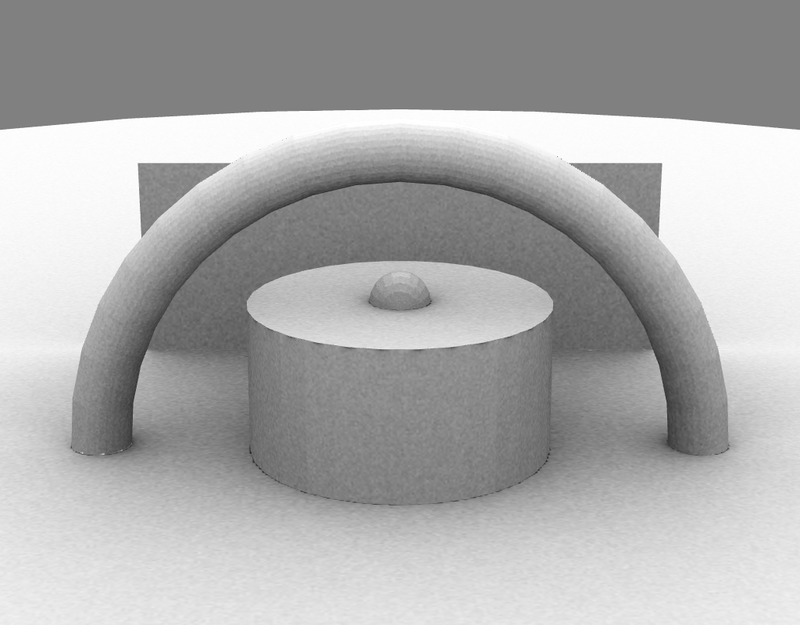 // Create a sphere with texture coordinates and small triangles near the poles. // distribution of triangles, but no texture coordinates. In the above image, the left and center spheres are subdivided, and the right sphere is parametric. The library also provides generator functions for various shapes beyond what was covered here; see the header file for more information. // Generate a rock shape that sits on the Y=0 plane, and sinks into it a bit. // This includes smooth normals but no texture coordinates. // Create trees or vegetation by executing a recursive turtle graphics program. // Tessellate a trefoil knot; same arguments as par_shapes_create_torus. Here are links to the library and the github repo that it lives in.